​Our building is a landmark of Southeast Portland built in 1952, but the story of Saint David of Wales goes back to the early days of Oregon. Today, the building has become a community center for a diverse gathering of Portlanders, including the Saint David of Wales Episcopal Church community, the Door of Hope Church community, and a number of local non-profits. Come join us and our building partners in one of the many gatherings that happen here! To find out about being part of the St. David's building community, email our Building Curator and visit our facility use page. 1865 - Saint David of Wales Episcopal Church is the first recorded Episcopal service on Portland’s east side, then known as East Portland. As the 9th oldest church in the diocese it is the the first mission on the east side of the Willamette River. 1870 - Property at the corner of East Morrison and Grand Avenue is secured as the site for the new church. A gift of $1,000 from a donor was provided for the building of a new church, with the provison that the church be named St. David of Wales after the donor’s parish in Pennsylvania. The cornerstone for the new church was laid on August 17, 1870. 1891 - The first church located on Grand and Morrison is moved to 12th and Belmont. Although construction on the second church starts immediately, it is suspended for nine years because of lack of funding. On January 4, 1903, the second St. David’s, built of stone, is completed and occupied. 1947 - St. David’s purchases 12 city lots at the corner of SE 28th and Harrison Street. 1952 - The third and current church is completed. The congregation is bustling with three services each Sunday, and “something every night”. 2007 - The once vibrant parish sees a smaller and smaller congregation on Sundays. Longtime parishioners say the empty pews resulted from a combination of old age, shifting demographics, frustration and divisions over the ordination of women and gays, and a controversial rector or two. The part-time priest, nearing the mandatory retirement age of 72, does his best to keep the doors open, but worries that if he left, the diocese would sell the building. Late 2008 - Rev. Nesbitt retires, and Rev. Sara Fischer is named to replace him. She steps into her new role as rector with two basic themes, which become core principles to the identity as a faith community: a promise to develop strong ties between the church and the surrounding neighborhood and a plan to develop a wide variety of worship experiences. 2014 - With joy and sadness, the congregation says good bye to Sara Fischer. All wish her the best in her continuing work to serve God in the Pacific Northwest. 2015 - The Vestry works together with Bishop Hanley and Canon Neysa towards the selection of an interim leader. James Joiner accepts the call to serve as Interim Rector. His compassion and dedication to supporting St. David’s is so very appreciated. A period of self-study, marked by meetings, learning, and listening sessions guides a period of discernment to find candidates that best match for a permanent position at St. David’s. 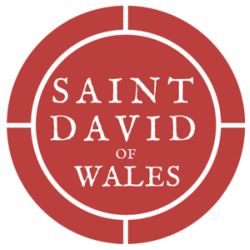 2016 - Following a unanimous decision by the Search Committee and the unanimous approval of the Vestry, it is with joy and gratitude that Saint David of Wales announces the appointment of new rector the Rev. Kerlin Richter. The community welcomes Rev. Kerlin and her family with delight, and great excitement to embark on this next chapter of Saint David's story.